Justin Pogge was the star of Canada's world juniors team at Vancouver in 2006. After his NHL shot didn't pan out, he's battled back from the depths of the minors to find his game and a new life playing goal abroad. 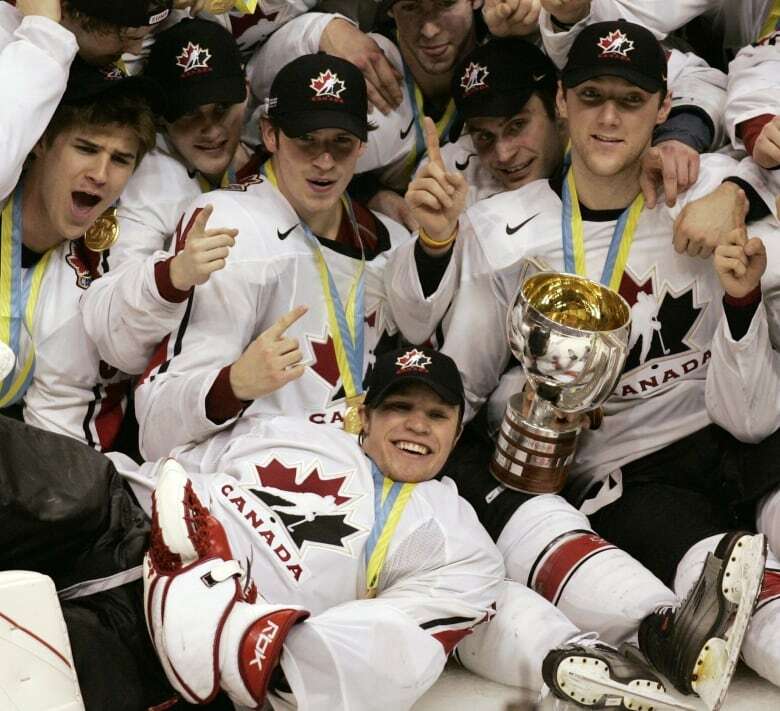 Ahead of the 2006 world juniors gold-medal game, Justin Pogge was on top of the hockey world, even if he didn't feel like it. "I was nervous as hell before every game," he remembered with a chuckle. "I can't say I ever felt comfortable the whole tournament." Over the prior 10 days, Pogge had emerged as the tournament's breakout star, allowing just six goals and coming into the final with a pair of shutouts, including one of Finland in the semifinal. "We weren't touted to win. We were the underdogs," he said of the gold-medal game against an Evgeni Malkin-led Russian team at GM Place in Vancouver. But Pogge was unbeatable again, leading Canada to a 5-0 victory and world juniors gold. "I was in complete shock that we won," Pogge said. "I remember trying to do an interview after and I couldn't speak straight. I sounded like an idiot." The victory was especially sweet with family from his hometown of Penticton in the crowd. "Winning in Vancouver was huge for me, being a B.C. boy," he said. From a hockey sense, those moments at GM Place were among the best Pogge would see for some time. But now, years after a difficult NHL experience, a long stint in the minors and three European countries, Pogge seems to have finally found his comfort zone. 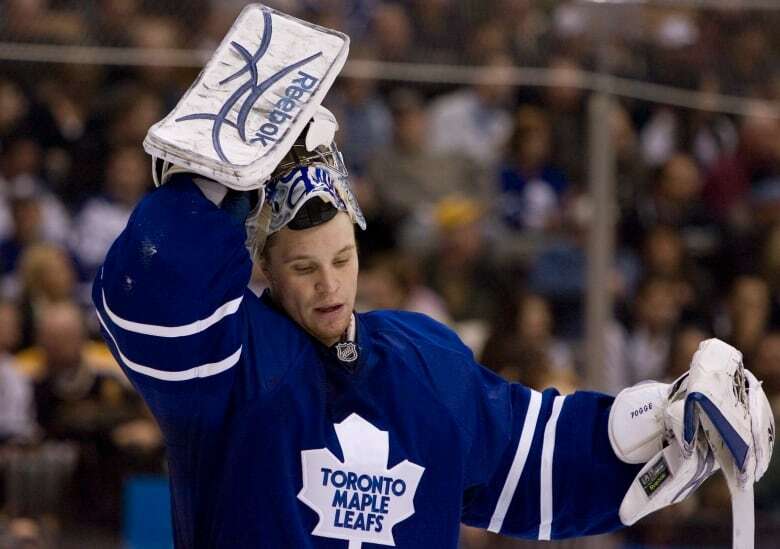 Pogge was drafted 90th overall by the Toronto Maple Leafs in 2004 and made his NHL debut with a 6-2 win in Atlanta. But Pogge lost his next six starts, allowing 25 goals in the process. His 4.36 goals-against average and a .844 save percentage led to a quick demotion to the minors. "I got my chance. I was very grateful for my chance at 20 years old. But it wasn't the right time for me," he said of his time with the Leafs. In the fall of 2012, a labour dispute put the NHL season in doubt, so after eight seasons in the AHL and ECHL, Pogge packed up and headed to Europe, starting with Ritten Renon of the Italian Serie A league. "I had to start from the bottom and work my way back up," he said. From there, he played three seasons in Sweden, followed by one in Slovakia with the KHL's Bratislava Slovan, and then a return to Sweden with Rogle BK — the team he's played for since 2017. Pogge says Sweden is a good place to raise his family after he and his wife had their first child, a son, last year. "It's a beautiful country and they love Canadians and Americans," he said. "I've built a good life here." While it's not the NHL, Pogge is playing regularly, starting or appearing in 32 of his team's 52 games last season. "Sweden has to be one of the top leagues … the consistency of the game is so good and you can tell by the sheer number of Swedes in the NHL." He says his Europe excursion has been a good experience, but a return to North America would be hard to say no to. "I always have that dream of coming back and getting the chance to put an NHL uniform on again," he said. "I understand my age and everything but I'm a different goalie [compared to] when I was 20 years old. Guys get to come back over and honestly I would love to be one of those guys." At the same time, he's realistic about his options. "Being a goalie, it's a little different. You know there's only so many jobs," he said.